Seriously is there anything more gorgeous than summer light…especially late afternoon/early evening? Ahhhhhh. So in love!! 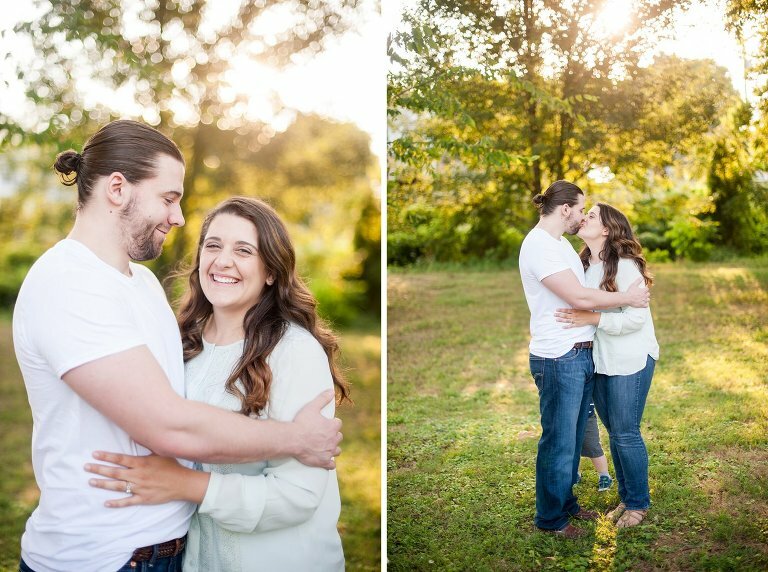 I’m excited to finally be blogging Colleen and John’s engagement session which really was a family session! So would that be a fengagement session? Insert eye roll here…yes I know that wasn’t very funny but it was the best I could come up with. 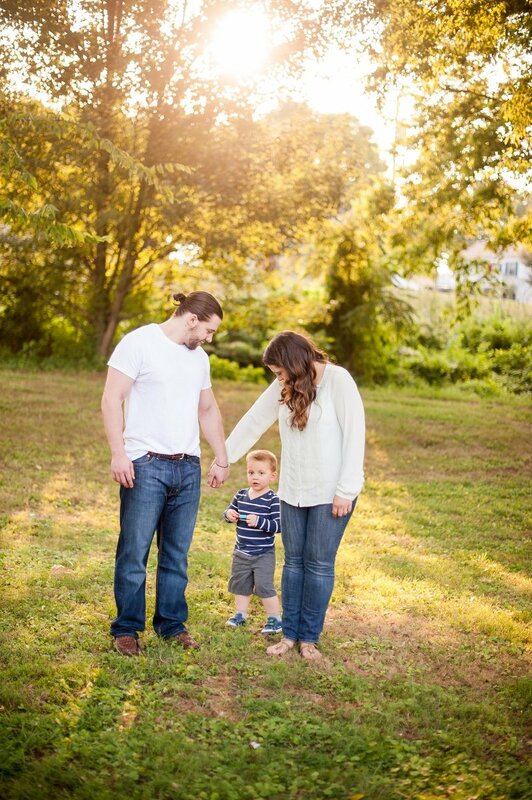 When this fun couple booked me for their wedding photography they also wanted to have an engagement session that included their son Jack. And of course I loved the idea! Cute kids are always welcome around here. 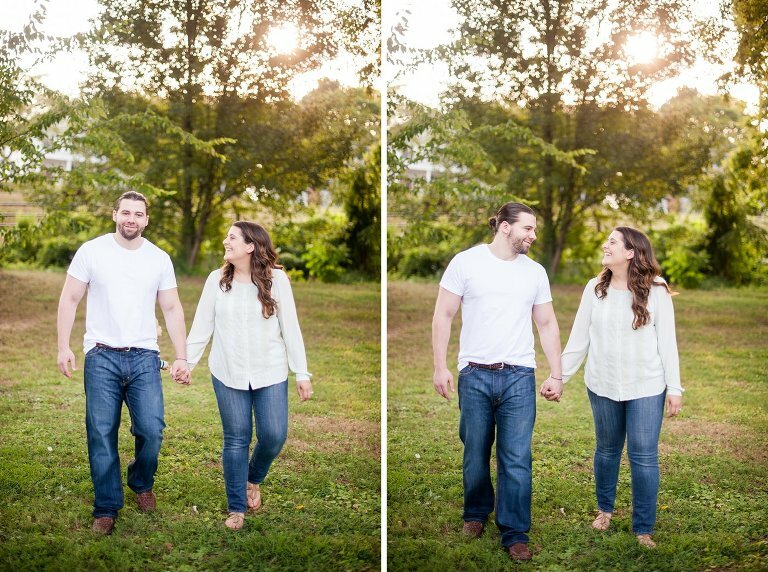 We met on a summer evening in Old Mill Park in Fredericksburg and spent an hour hanging out in the glorious summer light. 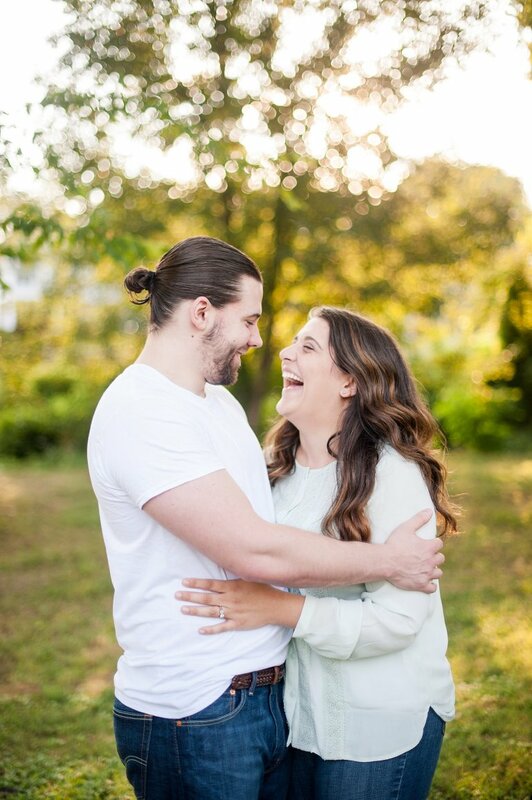 Jack wasn’t too certain of me at first so we got mom and dad in for some cute shots! Jack decided to participate a little…mostly hiding behind dad. He did say I could play with some of his Legos. I think that was a huge accomplishment. I love how you can see just the top of his head in this shot. He didn’t want to be in the picture but he didn’t want to be out of it either. Nope…I’m not going over there. LOVE this shot!!! Look at all that happiness. Families really are the best.